This image above shows what I have been recently working on. Well actually it is something a bit extra that came out of what I have been working on. I have enabled multi-part quests in Very Bunny Haha. So now I can for example be given a quest that has multiple parts to it and when I complete the last one I get the 'Finish' quest pop up. While I am doing the other elements/parts I get whatever other messages are appropriate. I have added a Quest to feed 2 baby cows. 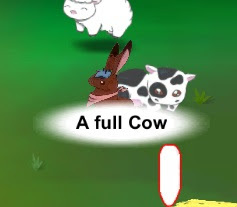 When you do feed a cow I change it's type to a full cow, and this has two effects. Number one, is that it stops you just feeding the cow again. Number two is that it reads really well. I am very pleased with the way it has turned out to be honest. Unexpected bonus from doing this multi-part quest feature. The presentation is now completed. It was a success by all accounts. Though I believed I think more than my daughter that her presentation was going to be amazing. Still it is a relief to have that done with, and out of it has come some very useful marketing blurb. I also got a recording of her practicing in the living room before heading off to the school for the presentation. I hope to use sections of that to help market the game. She is very dedicated to the game and I that shines through. Well now we go back to filling out the game. I have lots of Quests to create, and that means adding more content such as NPCs to give the quests out etc. This weekend while out camping (before the trip to ER) I was working on putting in 8 quests, but alas they are not quite finished yet. This will bring the number of quests up to 69 though :O Shocking numbers I think. Also I am now at 111 named objects in the world. That is just how busy we have been. The list could be endless, but I will work on what I can, knowing each thing I add, makes the game more valuable and fuller. Today I was thinking about the game development and what is my next most important aspect to get right. For me it is always (always has been so far) to work on gameplay. The way things balance and the way the player interacts with the game itself. It then dawned on me that there are many other important aspects to creating a game and for other developers I would expect they would have other priorities initially (they can always come back to work on the gameplay and balance later). So is it the way the game looks? Is it the way the game progresses? Perhaps it is the first experience the player gets that is most important (it certainly IS important). Hmm, so many choices. I also wonder how important sound really is in a game when for most of a games development life there is no sound in the game, and then when it is, the game is muted so you can work on it around other people. I think that devalues sounds in a game myself, but I also do what I said above, as I work on the game around other people. Game dev is NOT a single path, it is a path with many forks and many starting points. Have fun making your game and hope that some of that fun and dedication remains in the game for people to appreciate when you have it finished. I have been working hard with Leilani to get this project all sorted out ready for her presentation on Thursday. I am so excited. Saturday was amazing as we had tried to make sure we had all the ingredients (assets) sorted and on hand for the big Video we needed to make for her presentation. Instead of a powerpoint one, we decided that showing the game through video would more accurately show off all the hard work she has done. Whereas static images would not show the live animated and interactive nature of putting artwork into a game. I have to say that I expected it to take upwards of 9 hours, but in exactly half that time we were done.... We were shocked (especially me). Now Leilani gets to practice her presentation and give me any notes on altering the video if required. So far I have not gotten any notes, and she is behind practice schedule (thanks to a surprise baby sitting stint on Monday night). Well anyway, she is going to present to the family tomorrow night. So tonight I just had to add some gameplay elements at the end of the video and finish with the splash screen artwork. BAM, Done... unless I get some notes tomorrow! This bonus to doing this presentation has been that when I was trying to record elements for the video, I found issues. In fact I found a serious physics issue in the 2D Platforming sections, which I have now fixed. Along with numerous other small items. For the video to look good I had to fix these things and so the Bonus is that the game is now a lot more tidy than it was before this intervention. It is easy to spot which bits of the game need attention. When you show someone your game, pay special attention and note the areas you avoid going to, or the elements where you make excuses. These are the weak areas that need polish! As you all know I have blogged a number of times about Kevin Macleods music at Incompetech.com. You should check this place out if you are in the need of some great stuff. So far I have not had the chance to use any of Shanes music, but I expect in Very Bunny Haha I will find some opportunities. Well worth checking out his site for free and paid music. Enjoy! A few days ago I asked my Daughter when her presentation was, being vaguely aware that it was near the end of March. Well obviously I realized we were marching through this month and erm... well we haven't got the project ready yet. You see this game was born from my Daughters drawings and then when she had a Senior project to do for school, we came up with the bright idea of combining my coding and design with her artwork and story ideas. Hence Very Bunny Haha was born from that. This still means that before the game comes the presentation for her Senior project though and I guess we have gotten carried away over the last 10 months and have not focused at all on the project stuff. GAH! Fortunately for us we have PLENTY of material to work with, haha. so much in fact that when we found out the presentation was only 5-7 minutes we groaned, as we feel we need 20 minutes minimum. Ahh well, onwards. It hasn't taken long, but we have not just a plan, but also a script and I am busy recording various aspects of the game to go with her presentation. Tonight I have been grabbing plenty of characters animating from the game. Only I wanted them to be large, so I used the Scene view in Unity instead of messing with the camera. OK, Time to go back to the videos. 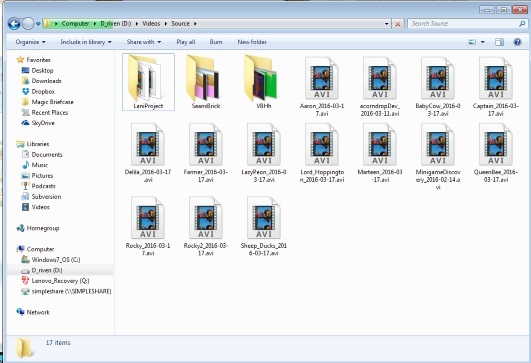 Oh, and YES, I will be posting various videos I conjure up from this once it is done with. Conclusion: Next time, never forget the reason for working on something, and cover it as early as possible. This is an odd word and not even a real word I believe. Feels like it is made up... yet... Everyone you say this word to that plays video games KNOWS what you mean. Amazing isn't it. Well for some people replayability is of vital importance, yet when you first purchase a game you have no idea how playable it is, never mind replayable. I guess there are reviews from some good people who will point out this kind of thing, but if you just picked a game up off the shelf you simply would have no idea. Yet it IS important. Just how important really depends on your gameplay. For example World of Warcraft Needs replayability. They have also built it in by adding so many classes and so many styles of play. People can keep playing it endlessly. Some games the first journey through the game is more important and it is likely the only one they will take through the game. Arcade style games that have added story and cinematics tend to be a mostly single play through experience. I would also add though that some games need replayability for a whole new reason (ok, new in the last 4-5 years or so), and those games are the ones with some types of in game purchases. If you do not keep coming back then how will they make any money? Now I have to admit that a lot of those games with in game purchases update and add content to keep people coming back, but I view that differently than games that have replayability built in. 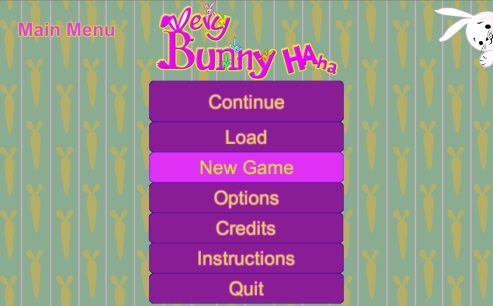 Now with Very Bunny Haha I would love the game to have real replay value. Though I do not think that is going to work for our plotline and our gameplay styling. With a single antagonist and quests that follow the plotline or are spun off from it, there is no major choice to progressing the story. We do have the plant growing aspect which can be dealt with in several ways, and in the First update after release I expect to get the animal farming into the game. This will also add some very valuable gameplay. I cannot build in replayability into VBHh directly, but there are a few endless factors built in already. I hope this is enough for the audience. 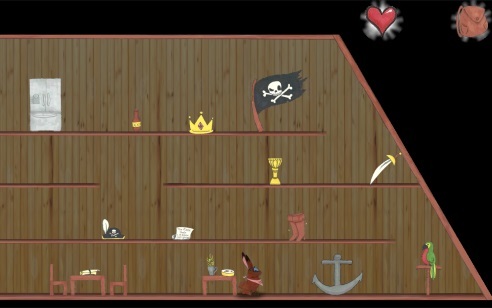 Here is a picture of the newest Mini-game to be created for Very Bunny Haha. This one is called Acorn Drop. That doodad at the top of the box moves of it's own volition back and fore across the screen. 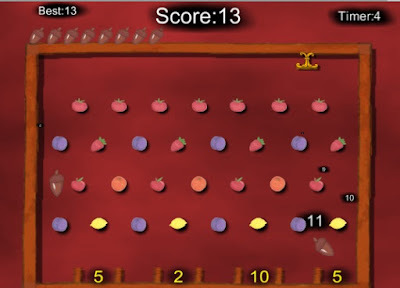 Then you have all those lovely acorns to drop into this Pachinko style game. I chose Acorns because of their interesting shape. They bounce all over the place, it is pretty cool. In fact it is so cool I have made a development video... only I cannot work with my audio equipment till tomorrow at the earliest. It just arrived in the mail today. Leilani tested it already and says it works great, which is nice. anyway this development video shows the game mid dev, and what silly things happen when there is no restriction on releasing Acorns. 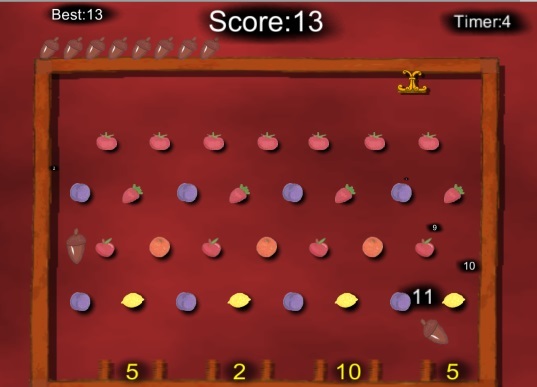 Oh yes, so the Acorns drop down the screen hitting the various fruits along the way. Wracking up a bonus score. Then when they get to the bottom they will explode.. or something multiply the score they have accumulated by the amount in the box they land in. Phew... Well then there is a score revealed for that acorn and once you have spent all 10 acorns you are done. Here is the Captains house. It is pretty crazy in here with all his memorabilia spread across the whole house like that. One might even call it cluttered. Community. This is one of those buzzwords such as Social Media (dang that is two words... oh well). It is also something I believe to be important as I want VBHh to succeed, it could be helped by having a community that believed and enjoyed the product. So of course I will have to use Social Media to try and find and Engage with people to join this games community. I have been thinking about this the last several days. I believe the First people in VBHhs community will be the testers for the game. Currently that consists of me and Leilani, but we will get more. Having testers is really where all this thought process started as I need a way for testers to interact with us online. To report bugs and ask for features and make any other suggestions etc. Somehow that information needs to get to me. Email is a bit cumbersome in my opinion. So why not use a Forum? With a Forum for the game started now it could generate interest in the game alongside show people real progression on bug fixes and also how we listen to ideas for the game. Also the thought of 'why NOT start now?' jumps to mind. I started trying to add my own forum to the www.verybunnyhaha.com web site. Alas I got confused by the set up and I figured there must be a better way. There is in the form of Free Forums... Yes it's true. So after quite a lot of research I am going to create one soon and it will reside on the www.Zetaboards.com site. So a few things in this Blog post. 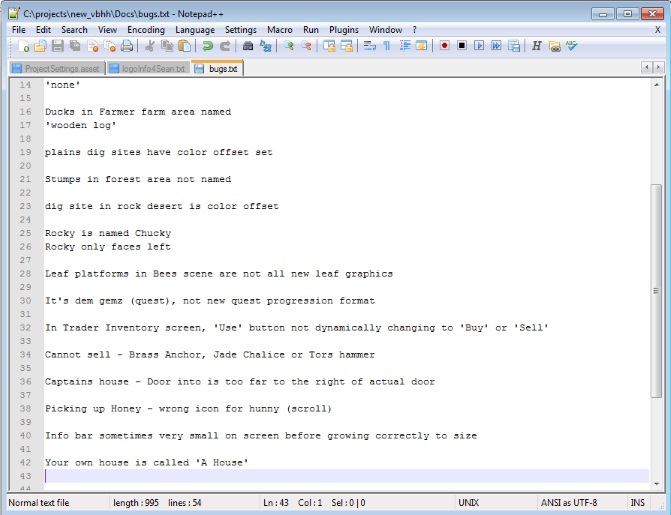 #1 is that I have been busy making a bug list today as I tested out ALL the quests in the game. Now I wish I had tracked the amount of time it took me to complete all the quests.. perhaps next time. Anyway I made the list of mostly spelling errors and a few misnamed objects etc. Not too bad at all. It will be good to fix them, as a clean game can be tested any time. #3 To that end I reckon we will have to put a forum on the www.verybunnyhaha.com web site, and perhaps even the downloadable executable. Exciting times to even be able to discuss this kind of thing. As it means it is getting closer and closer. This is my newest feature added to the game. This pops up when you are touching something. Obviously the name that pops up is also relevant to the object I am currently touching. I also have a setup where you could touch 5 things at once... though so far I am only really able to touch two things at any one time. So Why the pop up placard, name plate? 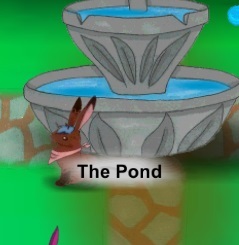 When I first implemented touching objects in the game I had them alpha cycle in and out. then I changed that later to darkening their color instead. But there were always problems with this approach. 1. Some of the objects looked bad cycling in this way. 2. When I introduced multi-sprite objects, only the first spriterenderer would alter it's colors. The children do not inherit this change. 3. I then created my first animating sprite and they were even less cooperative, as the base spriterenderer would not cycle as the color was being controlled from the animation. I always knew that I needed to do something. So a few days ago I came up with the idea of just for now putting the list of objects you are touching at the top of the screen somewhere. Then in discussion with a friend of mine, he suggested I place it near the player. This ended up being the approach I have taken. What's cool is that the placard actually moves as you brush past objects. This is because I place the placard half way between the players origin and the objects origin. It gives it a really professional look. I also put that faded back plate under the text, and I can color that if I want to show specific traits of the objects you are touching, and it scales based on long the string is. I did have other ideas for how to handle showing what you are touching. They are a lot more complicated than this one, such as:- Having a render buffer and render the object you are touching (it's whole hierarchy) and then write an outline shader, or possibly a fill shader. finally take that buffer and render it over the objects you are touching. There are many possibilities with this technique, but I do feel it would be a bit of a resource hog on some platforms. I really think this is a major addition to a problem I have had since I started working on this game. That image above shows my Main page, or title page. As you can see it has a few fluffy touches and the wallpaper makes it feel very homely. However I am going to talk about the Color scheme of the font, menu and buttons. Color has power. It can influence your mood, how you feel and also how you attach to things. This Title page has color in it. I think it is quite lovely, but I have concerns about the color scheme as far as it might affect my potential player base. Now Very Bunny Haha is a children's game essentially, though I sincerely hope children of all ages play the game as it is pleasant rewarding and fun. With that being said Girls tend to gravitate towards the pinker color scheme and Boys towards Blue... or that is the traditional sense anyway. I also wonder is this real? I do think that Teenage boys will tend to veer away from games that are predominantly Pink, but my game isn't pink. Just this title page and the Menus within. The game has a much larger color Spectrum. I really want to reach as many demographics as possible, so this is important. Should I make an alternative color Scheme that highlights Blues? I do feel I could do that, but the VBHh logo will stay the color it is now. Interestingly I have an idea that I could use both the Pink and Blue Menu color schemes and base it on whether or not you choose to play Jack or Jill (the choice comes up after you choose new game). I am not sure if I will pursue this, but it is pretty easy to implement, and could give the game a very different feel. It is a pity the game cannot SEE the player and know if it is a boy or girl. Another idea could be for me to ask the player before this menu appears what their favorite color is, and possibly have several color schemes for the Menus. Hmm, I like this, but it is certainly more work, as well as asking an initial question before they have even seen the game played.